Now my son is back at school Little Sis has been taking an interest in her own toys again. During the holidays she was happy to be directed by her older brother but I’m pleased to see her going back to her own toys now. 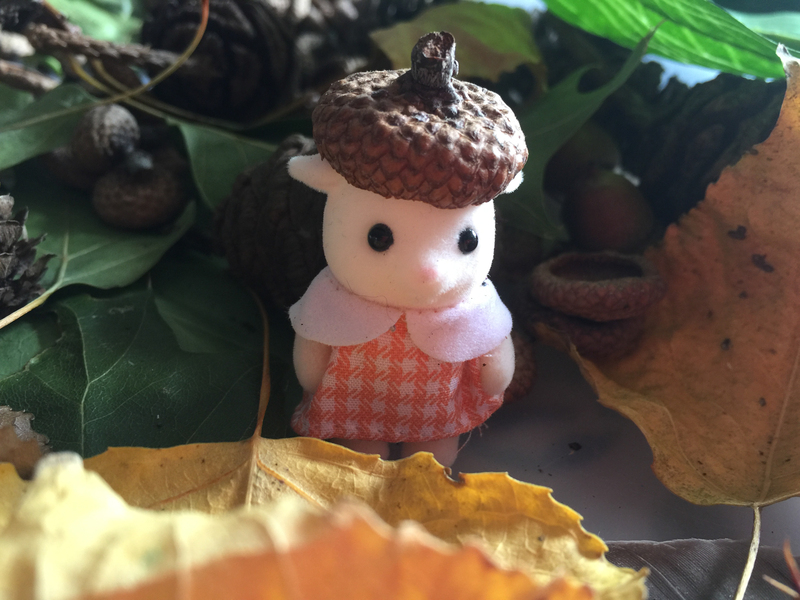 This week she has been playing Sylvanian Families a lot so I though it would be fun to go on an autumn scavenger hunt and have some nature play. 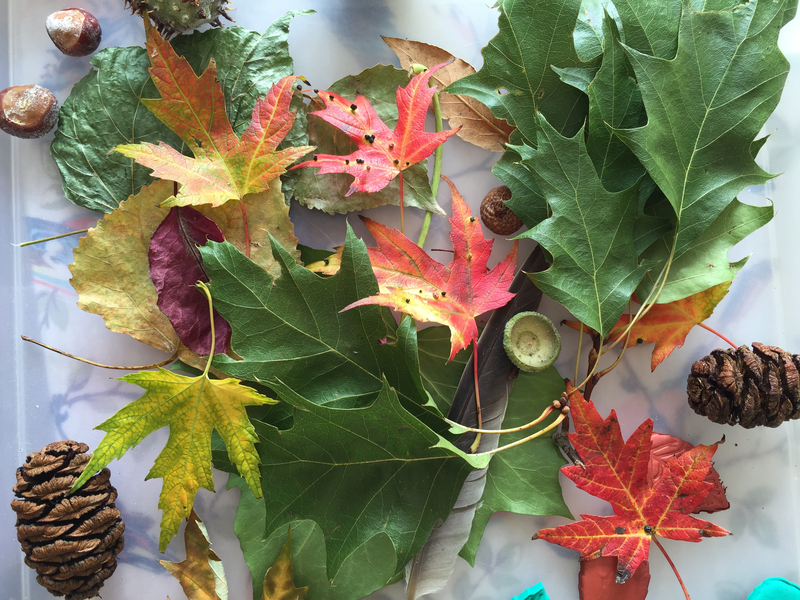 There are plenty of outdoor spaces near us so every day we have looked for conkers, acorns and different leaves. The leaves are changing colour really quickly so we have found a broad spectrum of shapes, colours and textures to talk about. Before she played with the conkers, acorns and pinecones I put them in a bag in the freezer overnight, just to make sure there were no bugs on them. 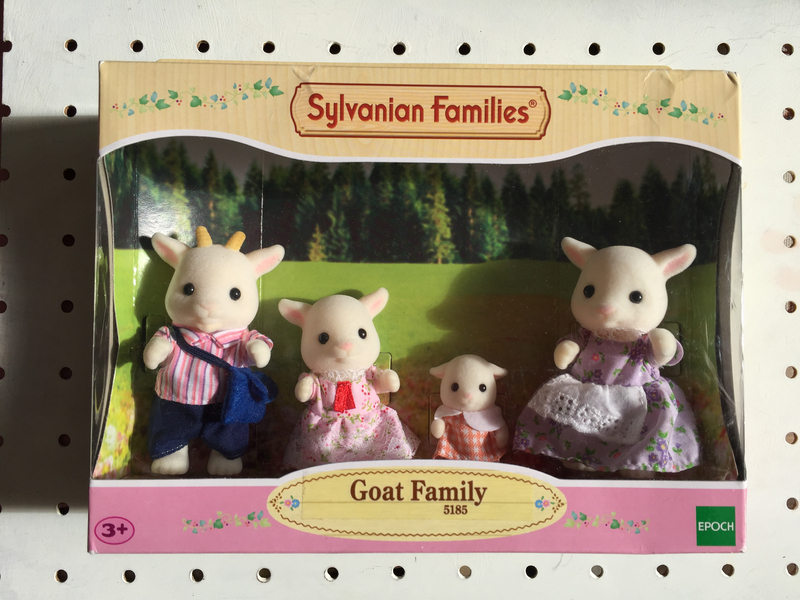 To our beautiful Autumn sensory tray we added the new Sylvanian Families Goat family which we received as part of our role as Friend of Sylvanian Families. The Goat family consists of father, mother, sister and little baby brother. The father figure carries a postbag as he is the new postman in Sylvania. 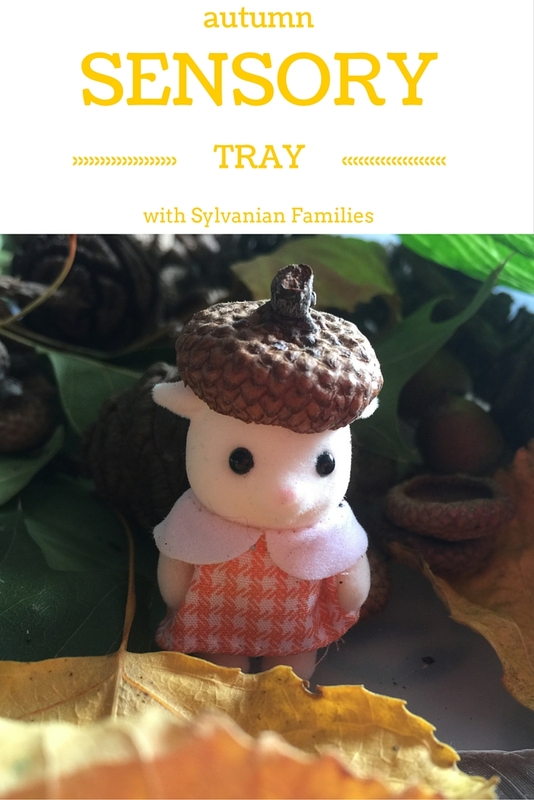 Sylvanian Families are perfect for adding to a sensory tray like this as they are all about embracing nature. Little Sis loved playing with her toys in a different way. We even gave them little acorn hats! Our sensory tray has been a big hit and we can’t wait to look for more treasures on our next walk. Sylvanian Families trail at Hatchlands Park. My kids will find this very fascinating. What an excellent idea. 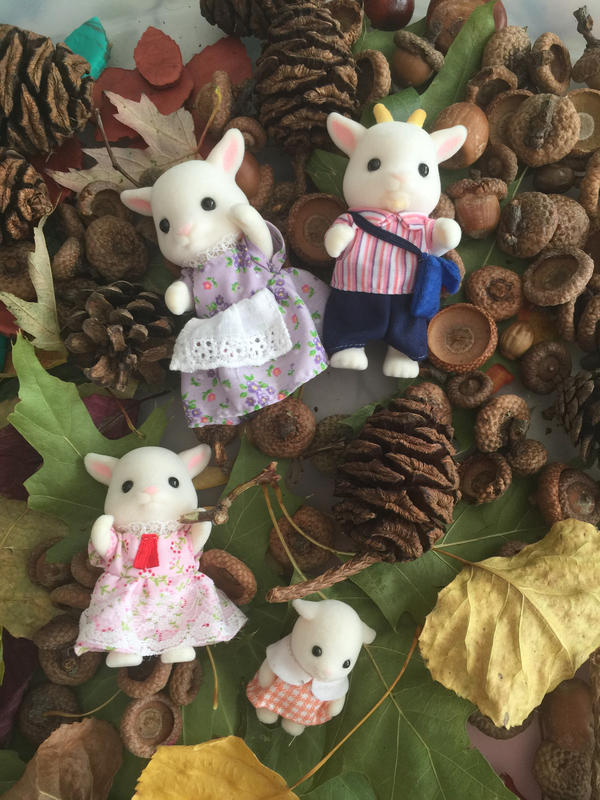 I used to love Sylvanian Families when I was little, it’s so nice to see that they’re still going strong and can be used in sensory play too. We love autumn for the opportunity to play with nature like this. These are such cute animals, perfect for nature play. I love those acorn hats!